When preparing cheque, you need to ensure the cheque information are correct. You also need to write the cheque clear and precise to avoid the cheque information is altered. If the cheque amount is altered from 10000 to 100000, it’s really a big problem! You can write a line at the end of the cheque amount to fill up the empty space. This can help to reduce the chance the cheque being altered. Similarly, you can do the same when writing the amount in words. 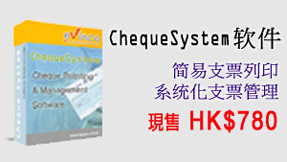 If you’re using the cheque printing software, you can choose to add the Asterisks in the options. The cheque amount will be added with *** and it will look likes ***123,456.78***. 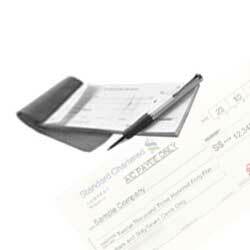 This can greatly reduce the chance the cheque being altered by others.